Best range promotion: TAKE IT TO THE COURSE – Offered those hitting balls the opportunity for $15 to hit a large basket of balls and play three holes after 5:30PM Thursday-Sunday. The promotion filled unused tee times late in the day and gave those practicing the chance to work on their games. The program generated over 20K in additional revenues in a slow period of the day. This program augmented our current 3-hole and 6-hole offerings getting families on the course during the summer months with $10 for 3 holes/$18 for 6 holes and children paying $1/hole. 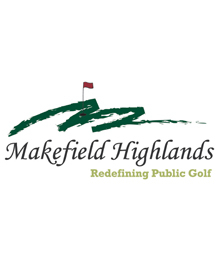 Special programs: Play Golf America with the Philadelphia PGA and Lower Makefield Township. The program gave free 10 minute golf lessons as well as promoted PGA Professional instruction and the Philadelphia PGA Junior Tour. The event also served to showcase the facility to township residents that play or were interested in learning to play golf through the free lessons and picnic atmosphere.